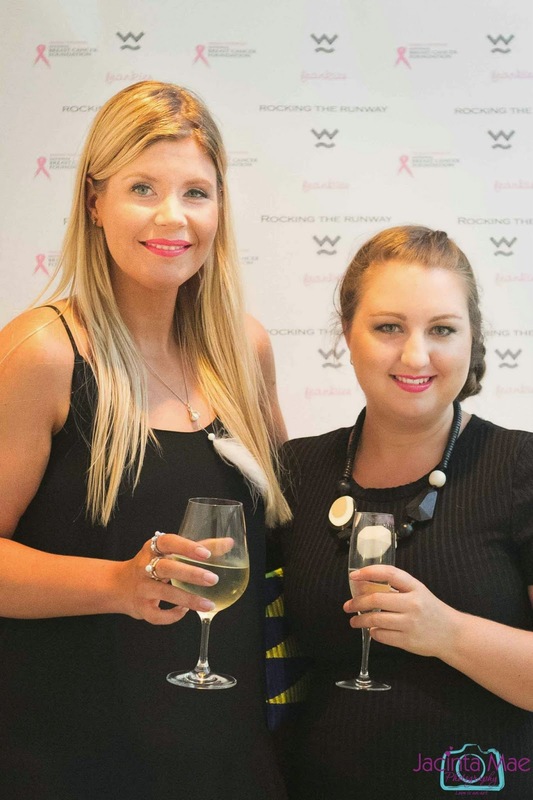 Thursday 23rd of October was Frankies Boutique's 'Rocking the Runway Against Breast Cancer', the event was hosted by Prue Garner, Creative Director of Frankies Boutique in the beautiful Warrandyte. 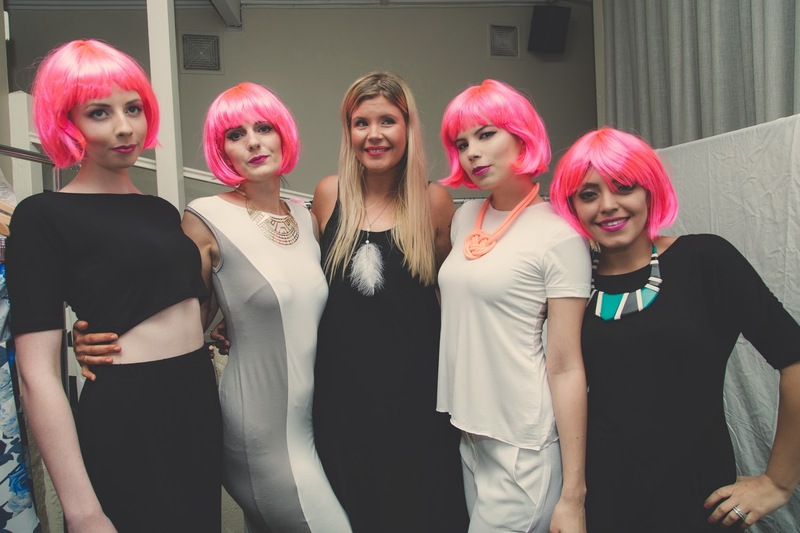 Held at the Grand hotel on Yarra street, the event was an evening of Champagne, Cocktails, Fashion, Canapes and all whilst raising vital funds for The National Breast Cancer Foundation. I was given the opportunity to design a small Capsule Range for the boutique's SS15 Australian Basics Collection. Made locally in Kilsyth, Victoria the fabric is a beautiful Rayon/Elastane Blend, designed to be an essential basic for every closet. For those of you who don't know, Rayon is regenerated plant cellulose (plant matter) it's 60% more absorbent than cotton and holds its shape after multiple washes. It feels incredible against the skin and is perfect for the Australian climate. Prue designed the Frankies Basics Range based on staple basics that she had in her own wardrobe, tweaking them slightly to accommodate for the Frankies customer and Australia's Fast Fashion Climate. 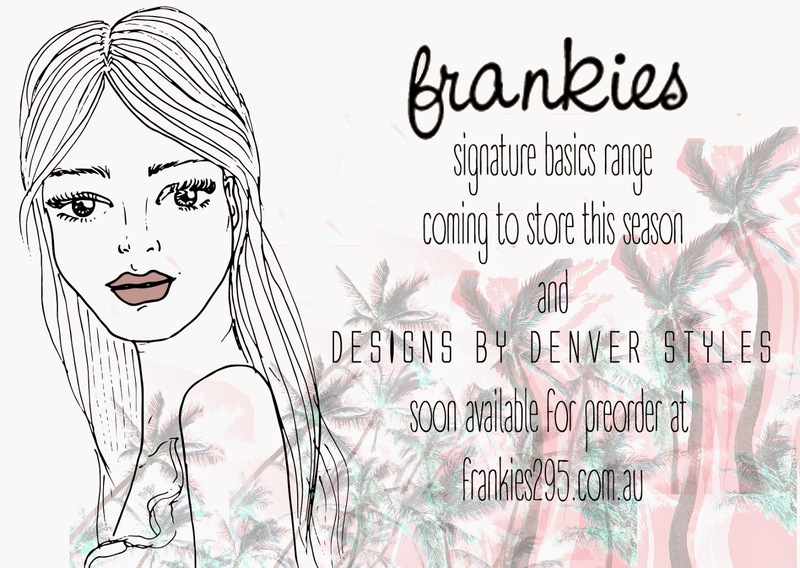 My 5 designs are a part of the Frankies Basics Range that is due to hit stores next month. This is the flier I designed for the Basics, art work by moi.. Not long now until they're all available for pre order online. Until then, pop in store or give us a call on 03 9523 7688 to order over the phone.. 50% deposit required. 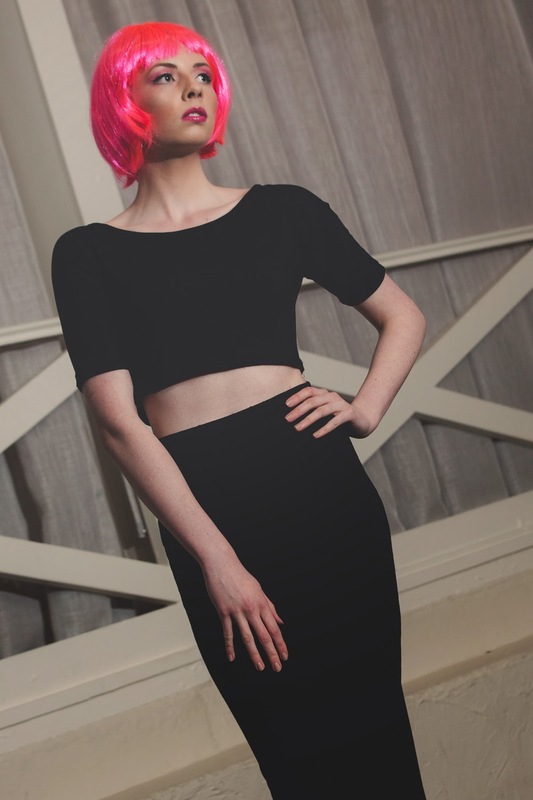 The Capsule Range I designed features the Audrey Crop & Tubular midi Co-ord set. I designed this to flatter the silhouette of most women, creating an hour glass figure and emphasizing a small waist. The midi skirt is elasticized at the waist and features a kick pleat to improve flexibility and movement of the design. Basic in Black, this look is so flattering and comfortable without loosing the Fashion Edge. The Illusion Maxi was a crowd favourite, featuring splits up each side & flattering colour blocking, the dress will be changing slightly when it comes in. We will have it a touch shorter and in a different fabric so that the drape of the dress is improved and not so clingy. 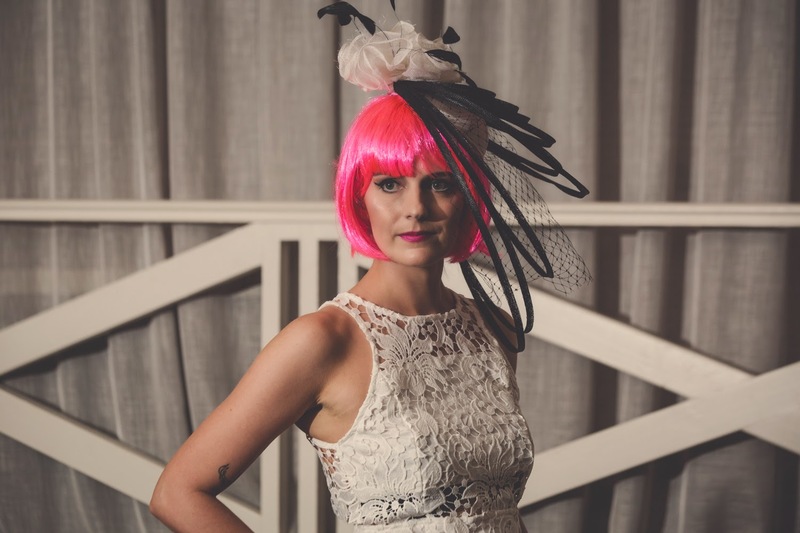 Our beautiful model Amy is rocking the Rings of Saturn fascinator that is now sold out.. sorry ladies. 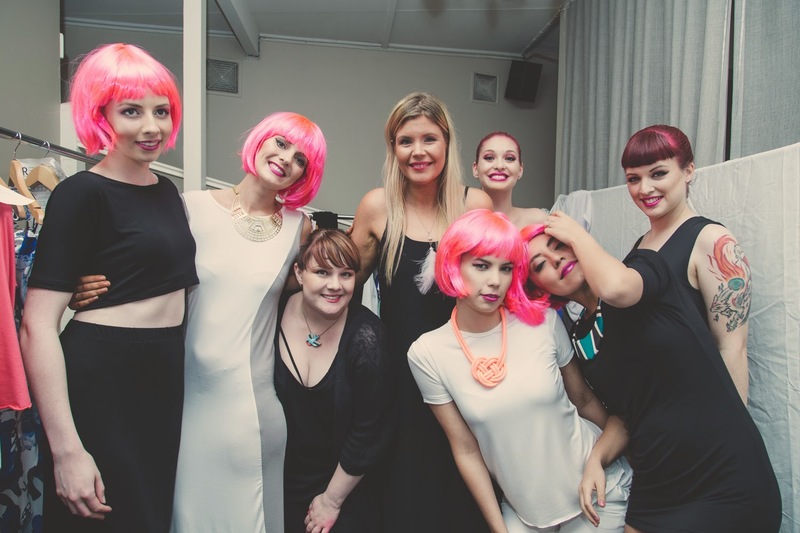 A beautiful group shot of our models wearing my designs and our incredible makeup artist Brooke Pearson who did amazing work, helping us out with so much! She is beyond amazing! Amy & I pre show, she's rocking the Frankies Basics Swing Singlet in Cobalt.. already put my order in for this one.. so easy to wear this summer! Prue Garner, the woman who made all of this possible & myself, all excited before the show..
Ester sporting our Frankies Spring Collection that's available in store at the moment, so come and visit! Our Cobalt Vision dress is just stunning! You can get this online at Frankies or in store and it's only $89! The Frankies Basics Circle Tee.. such a great look for Summer & you can wear it with just about anything.. this one is also available for pre order in store & will soon be online. Completely surrounded by my designs, I cannot tell you how happy I was in this moment. It was taken right after the runway show, as you can see I was beaming.. The Ringleader tunic pictured on the far right was another crowd favourite. it can be worn as a dress or a top and has a hi lo hem with tails at the back, I don't have a full length shot of this one but I'll be doing a shoot next month to celebrate the arrival in store. Stay tuned for the Basics range to hit the store early December and will soon be available for preorder online. This was by far the best day of my life to date.. I hope you enjoyed sharing it with me. 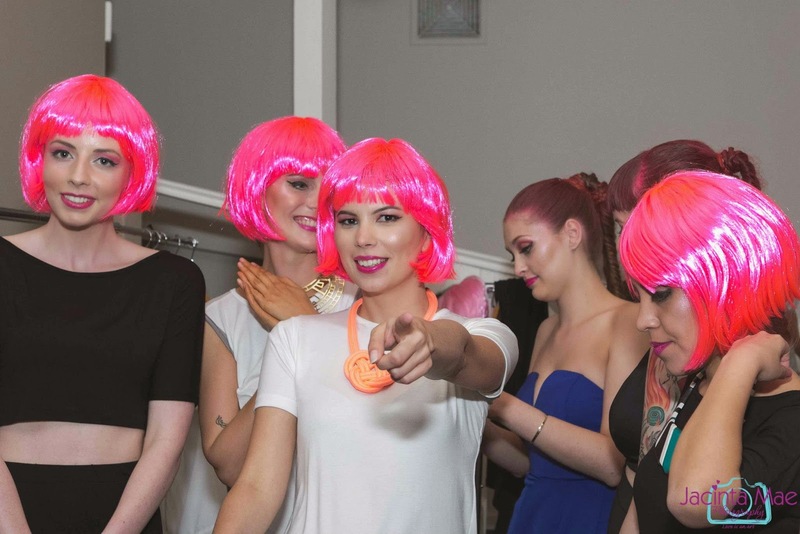 A huge thank you to Prue, Emma, Emily, Brooke, Maddie, Fannie, the models, our photographer Jacinta Mae, our DJ Marco Lepore & everyone who made this night possible. 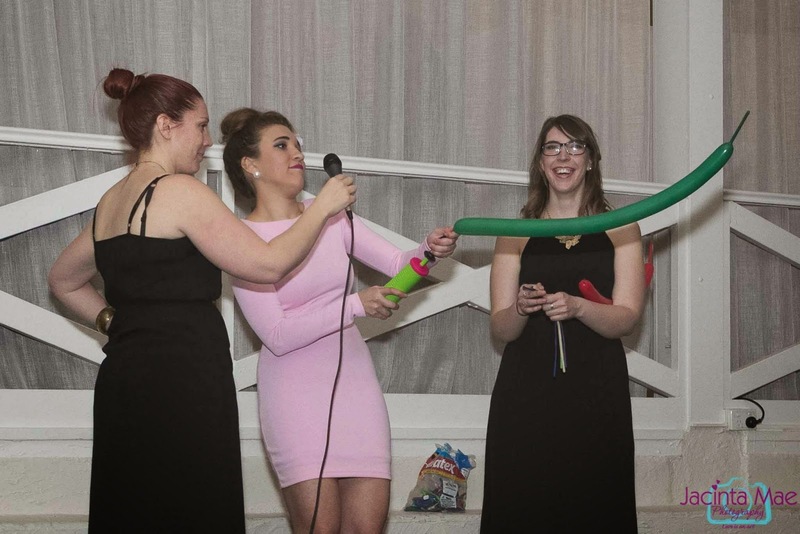 Our MC Craig and ofcourse the beautiful Tash York who performed a skit from "These Things Take Wine"with a very talented young man Daniele Buatti.. Any woman that can rap, sing & blow up Balloon Animals at the same time is alright by me. You can catch her full act at The Butterfly Club in Melbourne, checkout the facebook page here. I guarantee you will not be disappointed. Thank you to everyone involved for an incredible event raising money for a cause that's so close to our hearts. 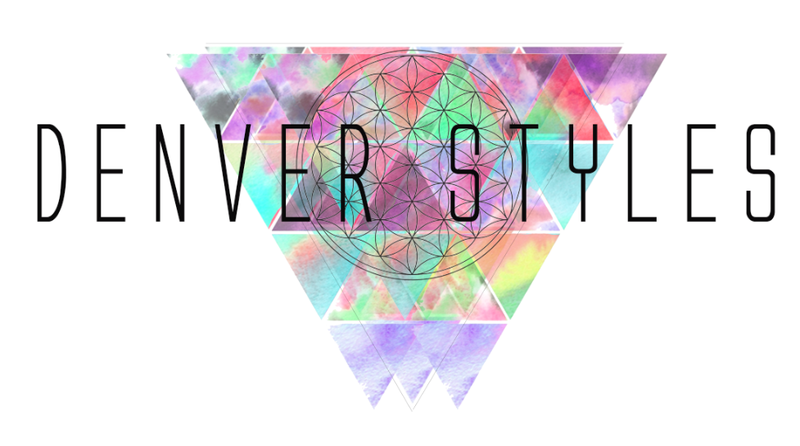 Stay tuned for what's next at Frankies Boutique.